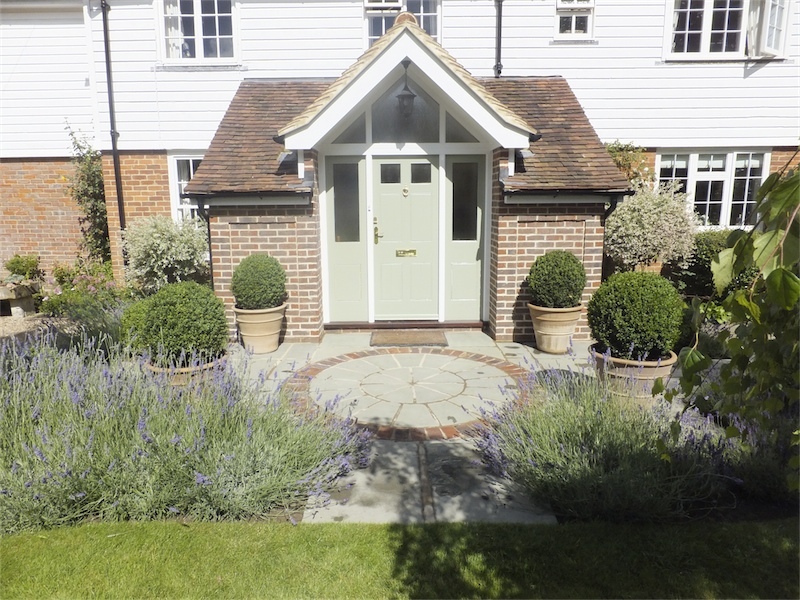 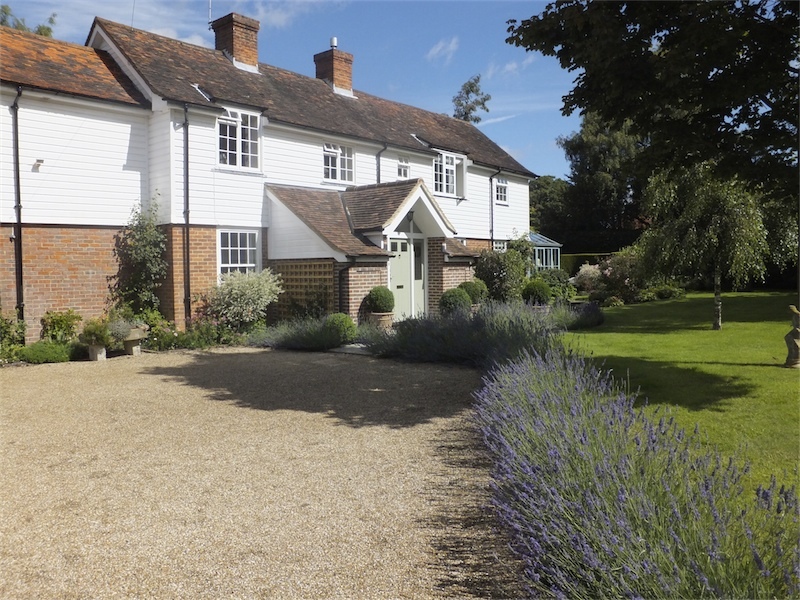 The approach to the house is softened with a mass of lavender hedging and box balls providing a structural element in the planting. 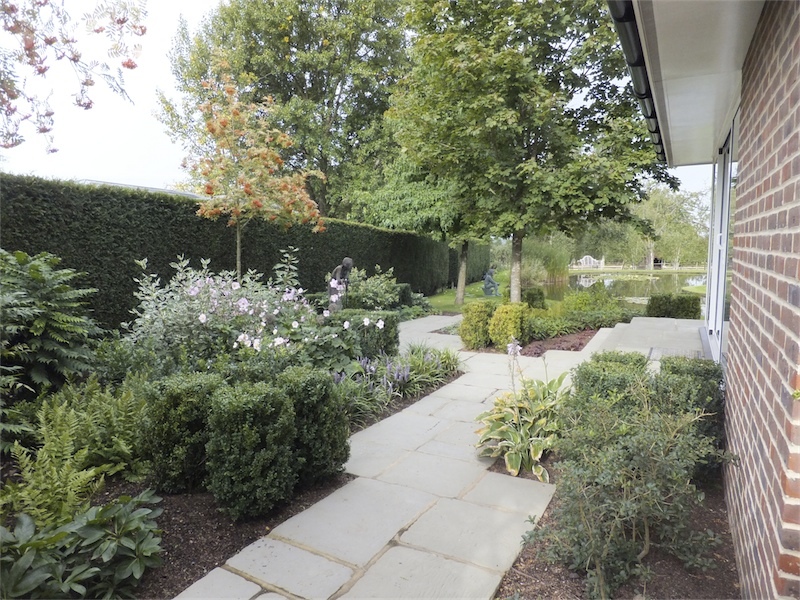 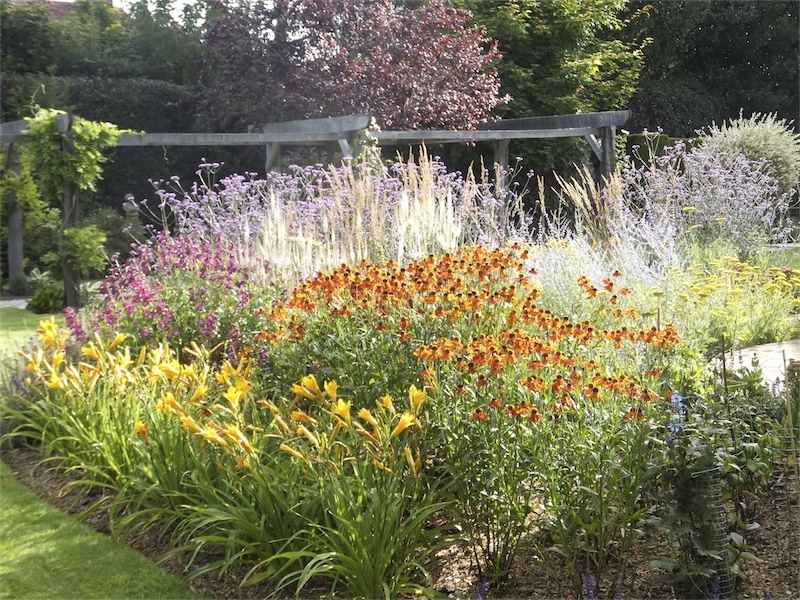 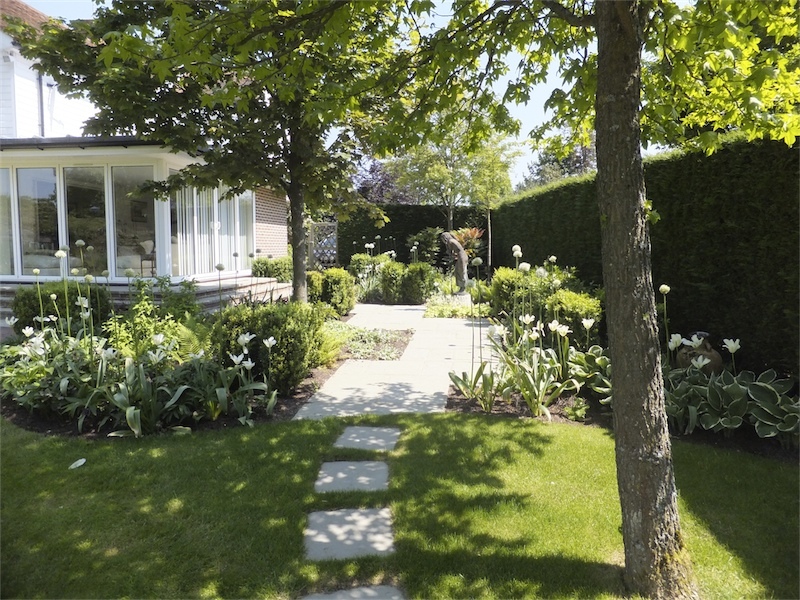 The side garden is accessed along a zigzag path, flanked with a mix of shade tolerant plants that are broken up with a series of box cubes. 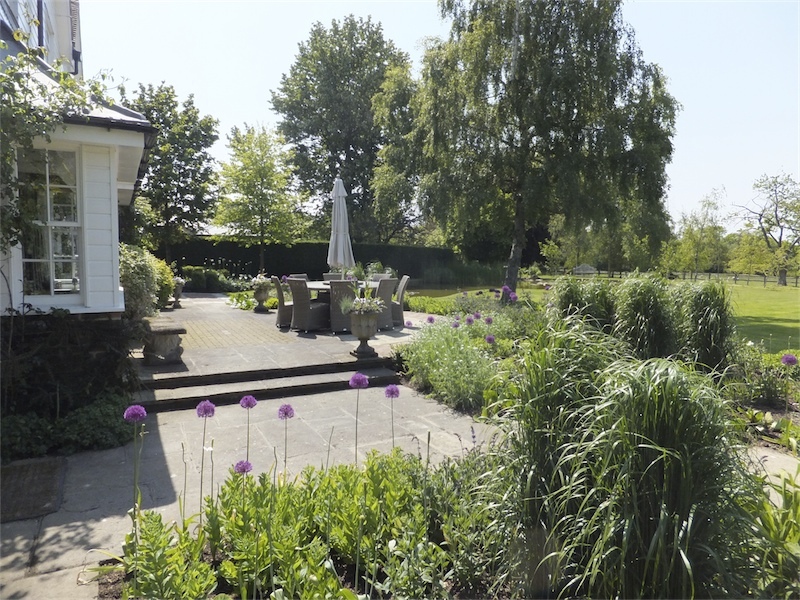 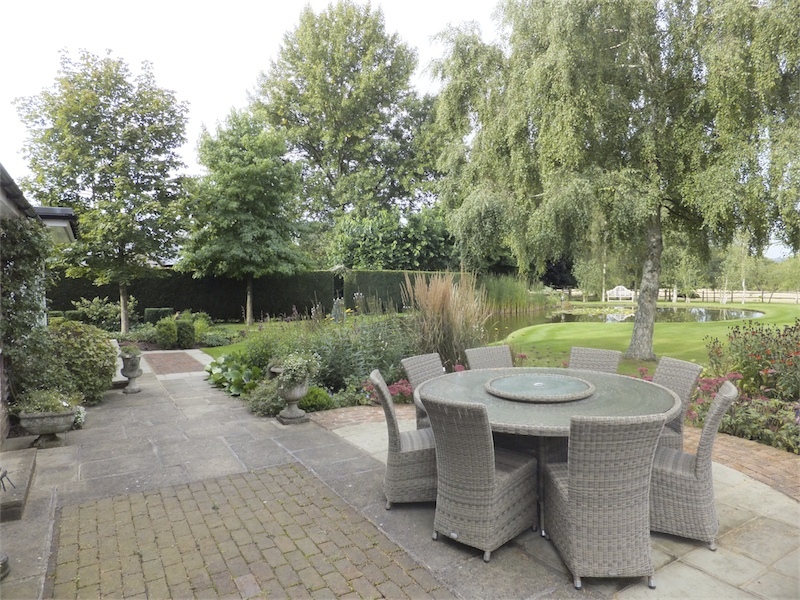 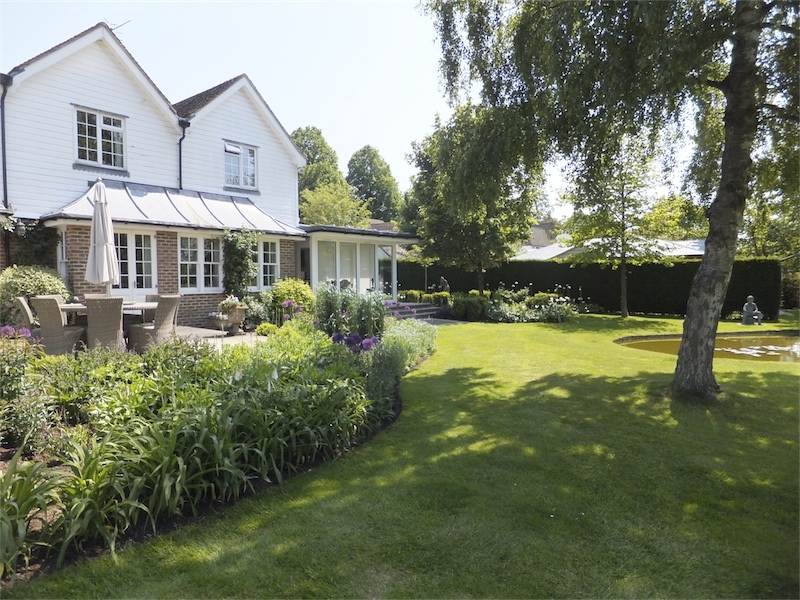 Sitting on the terrace in the back garden you are surrounded with swathes of perennials and grasses that break up the large lawn. 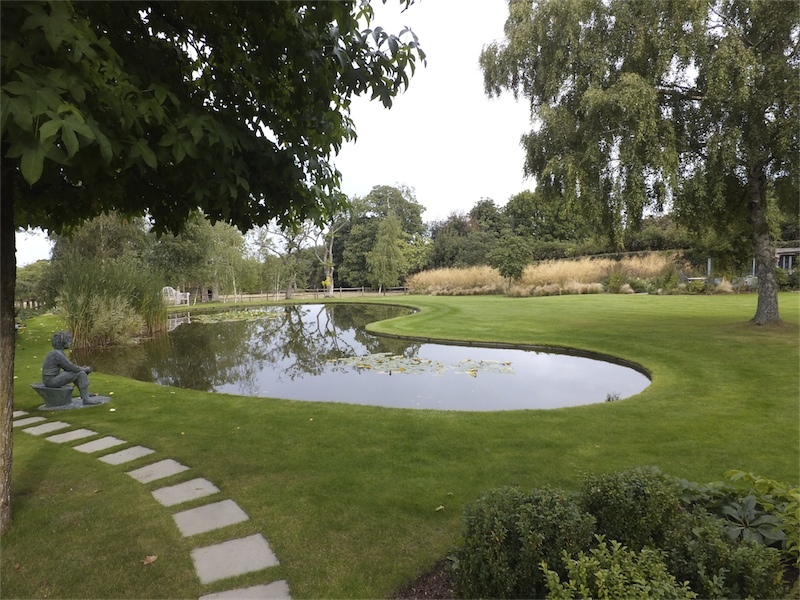 The large pond is a calming feature in the garden which can be seen from the house or close up when walking around the garden. 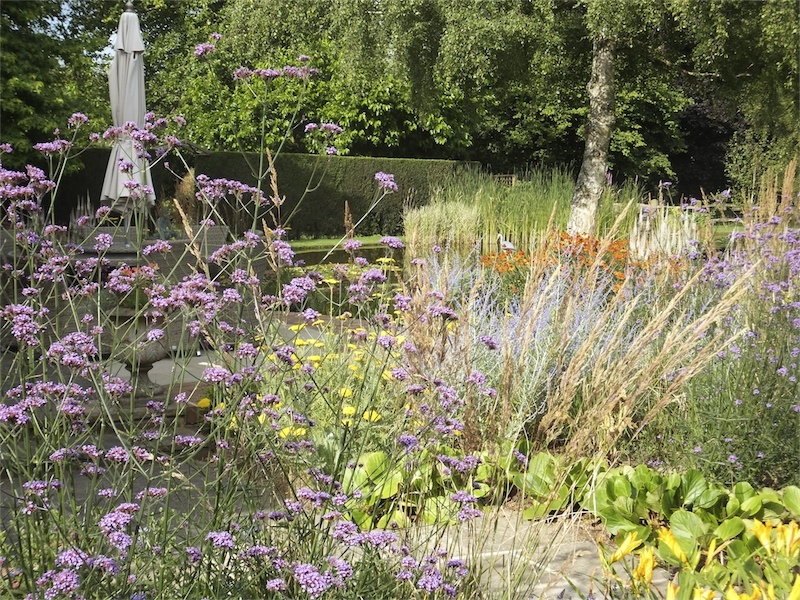 The timber pergola leads down the garden to a mass of ornamental grasses that sway effortlessly in the wind.